If you visit Moscow you will discover an amazing architecture of all types and periods – from the early Middle Ages to the most modern ones. 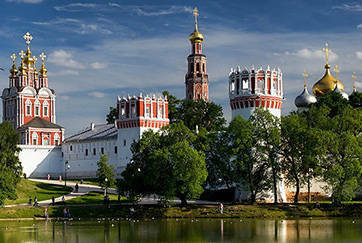 Moscow represents architectural masterpieces from ten centuries! Unfortunately, not all have survived. Moscow architecture sightseeing that we can enjoy today give us a good idea of this city. 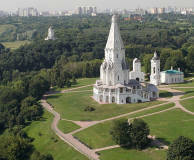 Moscow used to be the capital of the Moscow Kingdom and the main spiritual center of Russia. 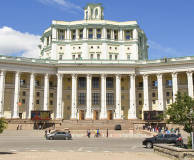 Later on, the capital was transferred to St. Petersburg. 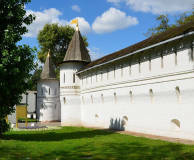 After a while, a place of the coronation of all Russian great kings and royalty returned to its original location in Moscow. 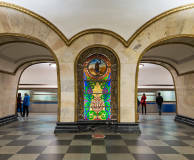 All these historical changes can be traced in Moscow architecture complexes and buildings created in certain styles of the epochs. 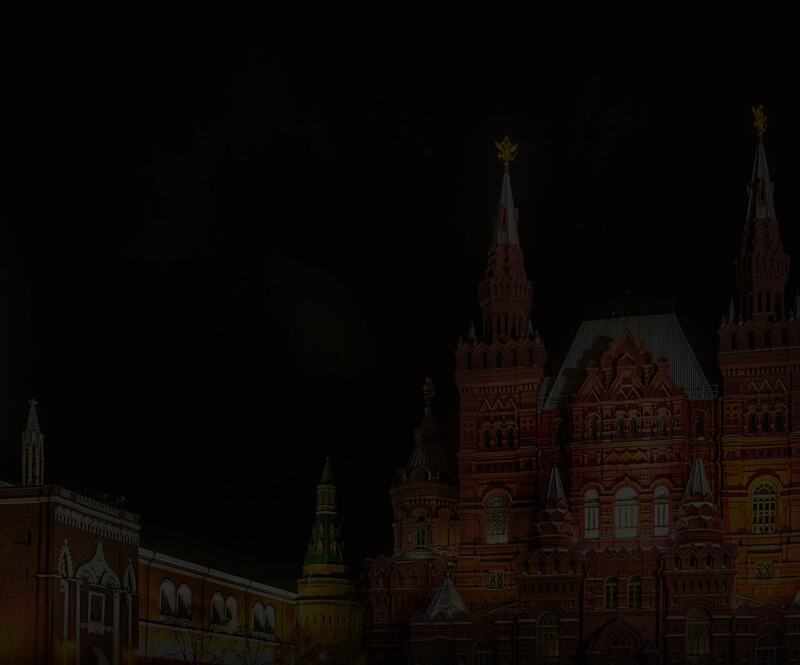 Moscow is a huge architectural kaleidoscope, which includes world-famous attractions. 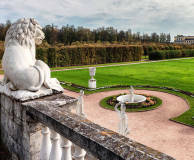 You only need to choose what attractions in Moscow you would like to visit first. 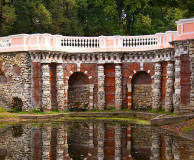 You have a great chance to discover the popular Moscow historical places. 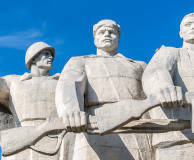 Despite the fact that the Nazis aimed to wipe Moscow off the face of the Earth, Soviet soldiers were able to defend the city and avoid major devastation of Moscow historical places. Incredible sacrifices of millions of people were the price to pay for it. Cemeteries are also special landmarks illustrative of their time. 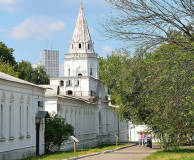 When visiting major landmarks in Moscow, you will most likely meet some grave along your way. 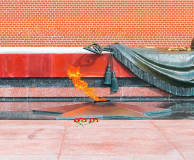 For instance, you can’t miss the Mausoleum and the graves lined up along the Kremlin wall. 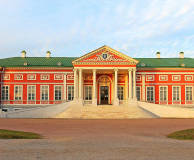 The Izmailovo museum reserve is located on the historic site of the Tsar’s Court. 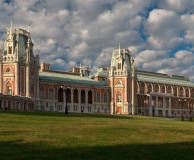 This vast architectural ensemble originally built during the reign of the first tsars of the Romanov dynasty is a landmark of Moscow architecture dating back to the 17-19th cent. The period from the 1930s through the early 1950s is closely associated in Russia with the name of Joseph Stalin and the ‘Stalinist Empire style’. 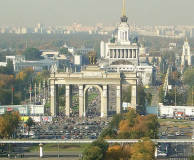 Among such sights in Moscow one can see the Moscow State University, VDNKh, Gorky Park, and the Moscow Metro. 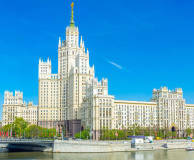 The Seven Sisters, or ‘Stalin’s high-rises’, are undoubtedly among Moscow's primery landmarks of Stalinist architecture. Constructed between the mid-1940s and the early 1950s, these high-rises became the attributes of a modern metropolitan city. 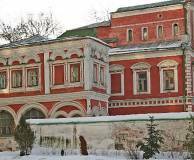 The Schusev Museum of Architecture in Moscow it is the first specialized architectural museum and the only place dedicated to the preservation of Russia's architectural legacy. 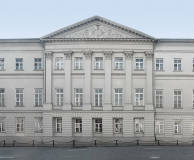 It repository reflects the history of a whole millennium of Russian architecture. 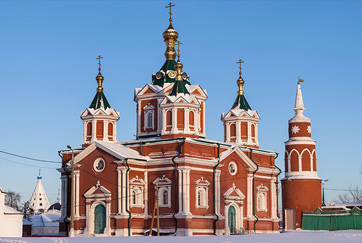 The Moscow Eparchy of the Russian Orthodox Church officially includes about 1,000 churches and chapels. 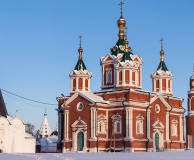 However, this count leaves out inactive churches, many of which are beautiful monuments of architecture. The true masterpiece is the St Basil's Cathedral.